Last week I was on vacation with my family on the Northern California coast and experienced the Greatest Trail Run of my life. Camping in Humbolt Redwoods State Park, our campsite was just 1 mile from the Rockefeller Grove that includes 2 of the largest living trees in the world: Tall Tree and Giant Tree. It is hard for me to even describe what a 650 foot tree that is 45 feet around looks like…they’ve been there for nearly 2,000 years! Not only was it amazing to run in the midst of these giant trees, but the trails were immaculately maintained and provided a lot of variety of terrain and elevation. I haven’t run much on the trails in the last year as I was on the second half of training for my first marathon last summer and fall, but it felt great to be out in the woods again and reminded me of why I started to enjoy running in the first place on the trails. 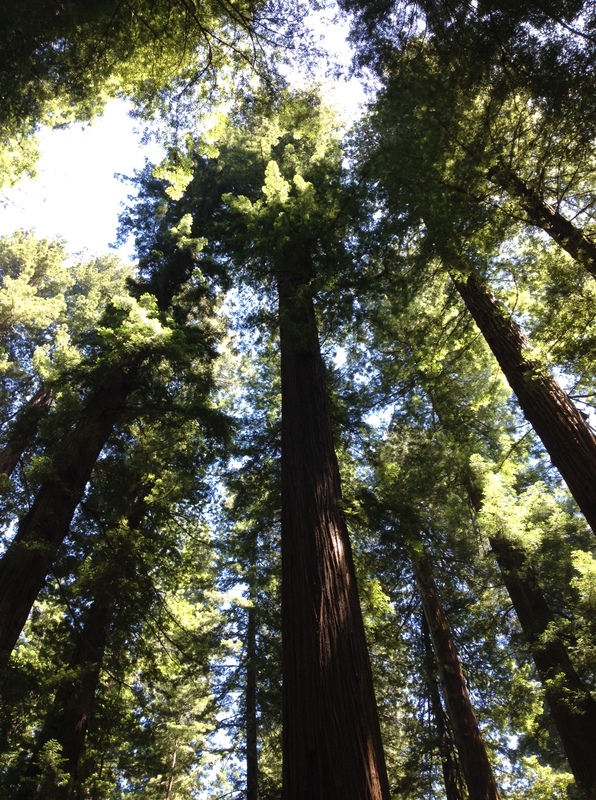 I’m grateful to those who take their time to maintain trails, those who provide the resources to preserve forests and other natural wonders such as the Redwoods, and thankful for a wife and family who enjoy being outdoors as much as I do so that we can share it as a family. The game of basketball has given me an awful lot in my life. This past weekend, I had a chance to give a little bit back and I’m so glad I did. 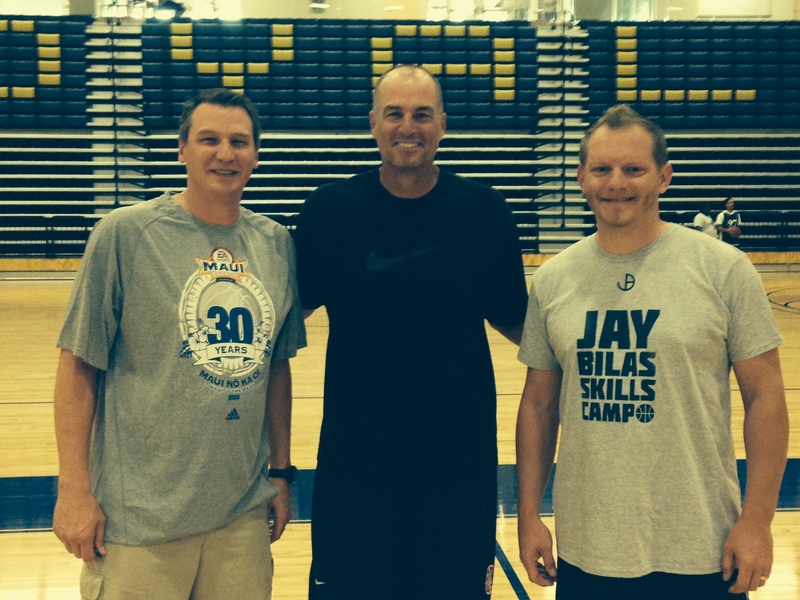 From Thursday to Sunday I was the Camp Director of the Jay Bilas Skills Camp on the campus of Queens University in Charlotte, NC. Jay and I have gotten to know each other over the past couple of years and decided that we wanted to put together an “old school” basketball skills camp that would provide sound basketball teaching from experienced coaches and competitive environments that maintained the values of the game that we had been taught as young men learning how to play. On Sunday, as parents were checking out their very tired boys, we heard a lot of great comments about much the guys enjoyed the camp, what they learned, how hard they worked, and how it improved their game on and off the court. For all of our coaches, it was an exhausting camp: they taught stations in the morning, ran competitions all afternoon, and coached 5-on-5 teams every evening before being rewarded by sleeping on a hard dorm mattress! Jay and I got to talking about why these very experienced coaches would do this and I think it is pretty simple…if they are anything like me, they want to give back to the game that has given them so much. It could probably be argued that nearly everything of value that has happened to me in life has somehow been a result of the game of basketball. As a young man in junior high and high school, the game provided the start of my identity, giving me something to be proud of myself for because I was good at it. It was in the 5th grade when I played on my first school team that I first learned the value of teamwork and the importance of everyone understanding and playing their role. The game of basketball was the first thing that my dad and I really connected over, and it is still an important bond between us 30 years later. In high school I learned how to really compete for the first time through basketball and the game helped pay for my college education. When I got to college, the game of basketball started to teach me what hard work REALLY was and how hard I was going to have to work to be a champion. During those same college years, basketball brought me teammates who became my best friends, and who 20 years later are the most important men in my life. After I hung up my jersey for the last time, the game continued to give to me. Basketball provided me a living for 10 years as I coached the game full time at the high school, NCAA Division 3, Division 2, and Division 1 levels. At one of my first stops on that coaching adventure, basketball introduced me to my wife, who was also working in the athletic department and 13 years later, the game is still one of the things we enjoy watching together. During my coaching career, basketball taught me how to sacrifice for something I was passionate about, how to treat people in a professional setting, the importance of relationships to careers, and the reality of life that sometimes you get fired and have to get back up and try again. It’s been over 6 years since I blew a whistle for a living, but the game has continued to give to me. It has given me the pleasure of watching a great game in person or on tv, it has given me open doors of opportunity in the business world because of relationships within the game, and it has continued to give me the opportunity to teach the game to young people even though I’m not doing it for a living anymore. At this stage in my life, the game has taught me that you can never stop learning new things and the value of giving people an honest evaluation even if they don’t want to hear it. I’m not pleased with everything about the game of basketball in 2014. It is a different game than when I grew up with different influencers, different expectations, and different motivations for many involved. I don’t like the way AAU basketball has morphed into a big business that has created an environment where it is hard for kids to remember that it is still just a game. I wish players wanted to work on their skills without any prizes or coaches or referees, but that seems to be slipping away. I can’t fix the entire game of basketball, but I can influence the very small corner of the game that I have been given to look after. The game has given me so much that the least I can do is give back to the game in any way I can in that small corner of the basketball world. It is a great game that has made me who I am today.